Portofino Hotel & Yacht Club is a premier hotel, one of the few that dot the idyllic stretch along the Redondo Beach, just a few minutes’ drive from LA. The hotel’s proximity to LA and Manhattan Beach makes the hotel a base for visitors keen on exploring the panorama of the Marina. 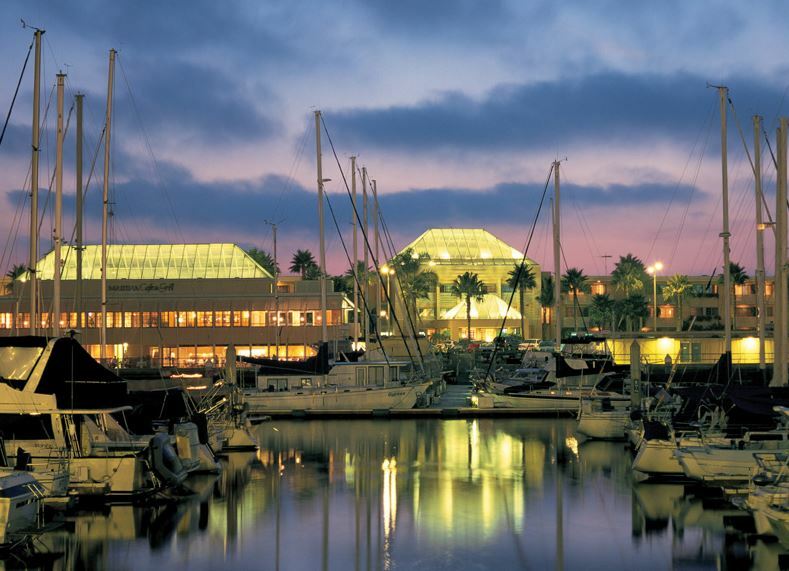 To get to this hotel, the current address is 260 Portofino Way, Redondo Beach, California, 90277, USA. The hotel’s strategic location makes it picture perfect for the numerous attractions that are close. A good place to start is Redondo Beach itself, ideal for a day’s exploration with beach games, swimming, beach sports and a host of outdoor activities to enjoy. From family activities to interacting with the beach side community, there’s a lot to engage in while at the hotel. Popular area activities include yoga on the beach, a series of musical concerts and performances during summer as well as farmers market where guests can purchase high quality organic food. Redondo Beach is a cycling hotspot, so rent a bicycle and ride as much as your legs can. The bike trail is rather even, so you are less-likely to encounter hitches. Outdoor enthusiasts will be awed by sport fishing, an activity that allows you to catch a wide array of fishes such as the yellowtail and mackerel. The other alternative for adrenaline junkies is to take a speedboat ride that whizzes by every hour over the weekend and public holidays. The outdoor experience can then be summed up with a visit to the enchanting Disneyland and Hollywood’s Universal Studios. Other nearby attractions include the Rodeo Drive, Venice Beach and spectacular walking tours along some of the beach’s most popular trails. Once back at the hotel, exquisite facilities on location ensure a seamless stay. Finish off your pending business transactions at the well-equipped business centre, or proceed to any of the 7 meeting rooms where no detail was spared in constructing innovative and practical solutions. A free standing pavilion compliments Portofino Hotel’s features. The hotel is home to a classic bar and eatery, perfect for grabbing a quick bite before heading to the beach for a relaxed day outdoors. The expansive lobby lounge, complete with a contemporary touch, is a great place for business travellers to mingle. The outdoor pool on the other hand, offers sweeping views of surrounding LA. Head out to the gym at the 24-hour fitness centre, while enjoying free Wi-Fi connectivity at the lobby. Note too that there is a surcharge fee for Wi-Fi use in the rooms. Speaking of rooms, the hotel has a wide variety for you. Pamper yourself at the opulent luxury suites where the soothing sounds of the waves are your tranquil background. If you would like, you can take up any of the ocean side guestrooms with stunning views of the azure waters. The Marina Side guestrooms on the other hand, offer spectacular views of the sails, and if you are lucky, you will be able to catch the playful seals. For those planning on a longer stay, the apartments are a perfect options. Portofino Hotel offers the perfect blend of sun, sand, sail and sea. Nothing comes close to the repose of this upscale hotel by the ocean.